I've tried knitting two-at-a-time before. The exact details of the project are fuzzy - maybe it was a pair of socks - but I do remember not being fond of the technique. 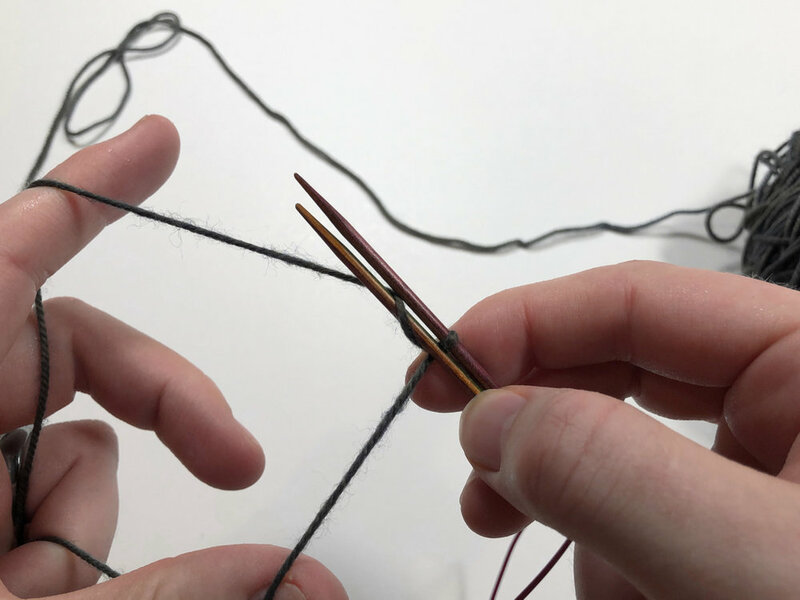 Learning to knit with double pointed needles felt like holding an ornery hedgehog. 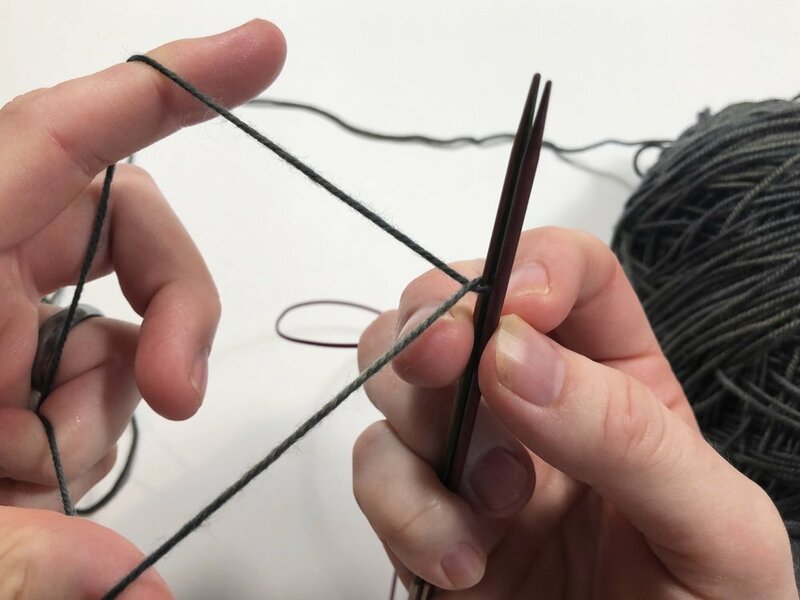 Trying to knit a pair of socks at the same time on one long circular needle was like wrestling an octopus. After that initial attempt, I didn't bother trying two-at-a-time again as it seemed more frustrating than useful. Let's jump to 2016 when I was in the middle of knitting the Gramps cardigan. When I cast on, it seemed like a great idea to start with the sleeves and skip second sleeve syndrome. 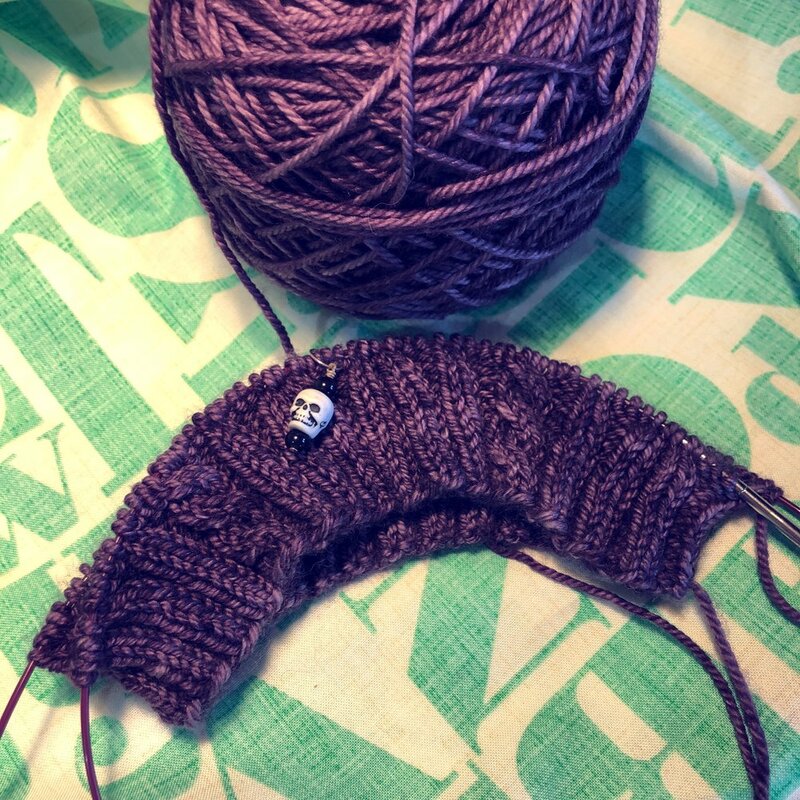 That first sleeve went quickly, but I couldn't finish it until I knew what cable row I'd have to match on the body. So I started the sweater body and knit to the join. Then I added the necessary rows to the sleeve and put the two together. My satisfaction of having something that looked sweater-like was short lived because the sleeve was too long. Ugg. I tinked back, removed the sleeve, and ignored the whole thing for a day. 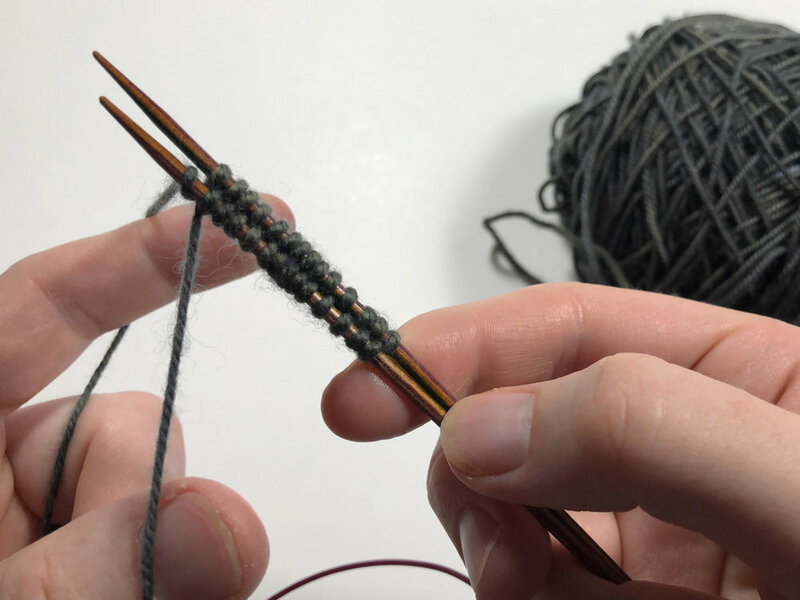 There was a fair bit of math involving gauge, cable repeats, and cuff ribbing, but I figured out how to get a perfectly sized sleeve. Then I ripped out sleeve #1. Knowing that I was essentially knitting three sleeves didn't appeal. For once, trying to knit two sleeves at the same time seemed more appealing than slogging through them one at a time. I'm blaming The Knitmore Girls podcast for putting the idea back in my head. 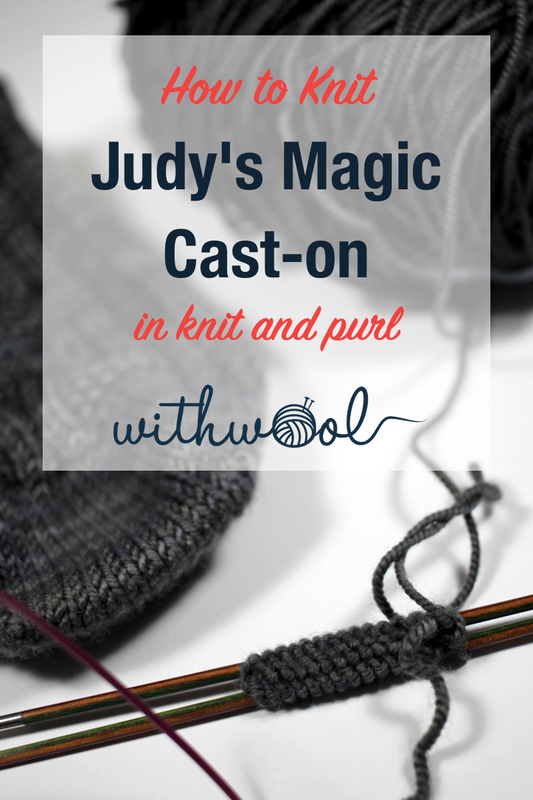 This video tutorial from KnitFreedom about how to cast on for two-at-a-time was the least fiddly that I found. Still, the first couple of rows were like wrestling with an octopus. There were strands of yarn and dangling cables everywhere. A needle tip even flicked up and winged me in the face. This only made me more determined to wrangle the sleeve beast. Thankfully, things did calm down after the first couple of rows. Knitting the sleeves went reasonably quickly and wasn't a complete slog either. The thought that I'd essentially be knitting 5 sleeves if I messed up this pair did occur to me. Fortunately, the sleeves turned out the right length this time around. Since working sleeves two-at-a-time went so well, I decided to try knitting a pair of socks the same way. To be fair, the only reason I did was because I couldn't find my second 2.0mm circular. 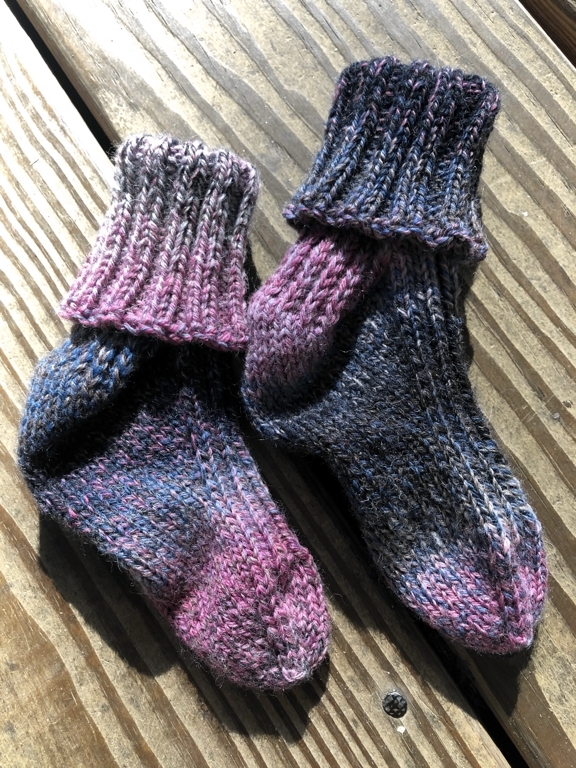 Casting on would have been easier if I'd started both socks at the same. 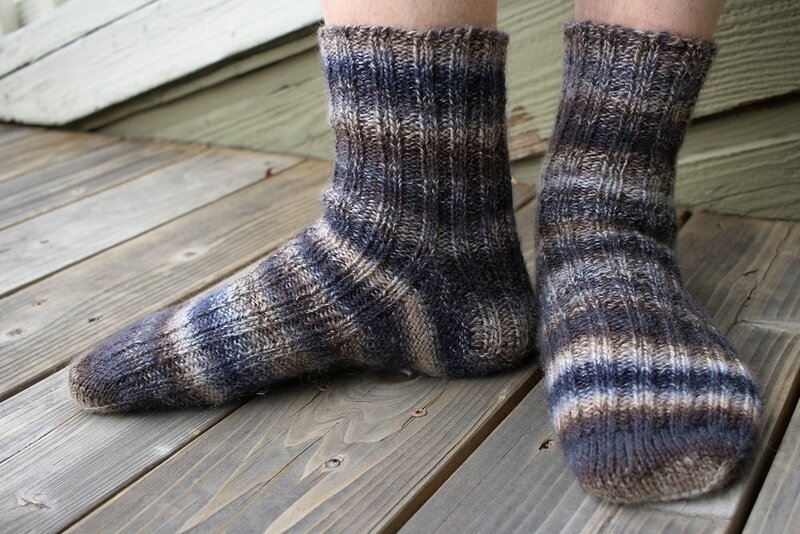 I added the second sock to the needles when the first toe was almost finished. By the way, I do not recommend this. 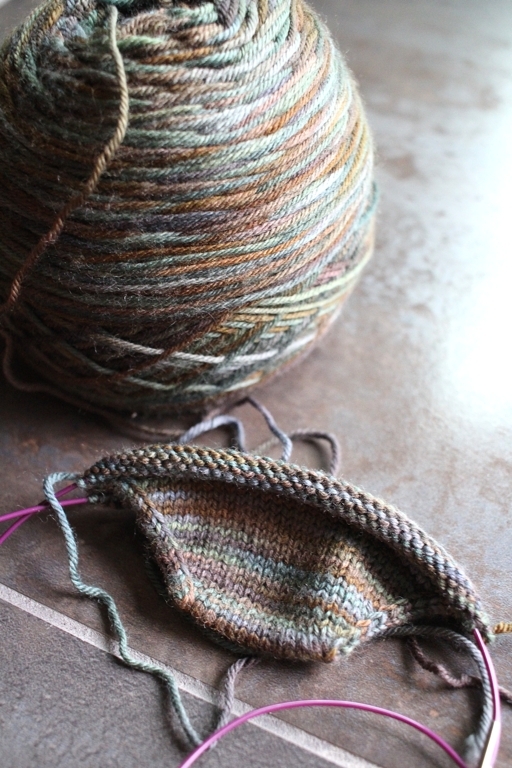 I've since put a few more rounds on these socks and I'm not loving the process. Maybe it's the stitch count. Maybe it the cable on the circular needles I'm using. Maybe it's how often I have to untangle yarn. All of these frustrations are adding up and it feels like wrestling an octopus again. These socks are supposed to be purse knitting: easy to pick up and work on for a minute or two at a time. This pair is anything put. The good news is that I found my other 2.0mm circular so each sock will get it's own needle ASAP. 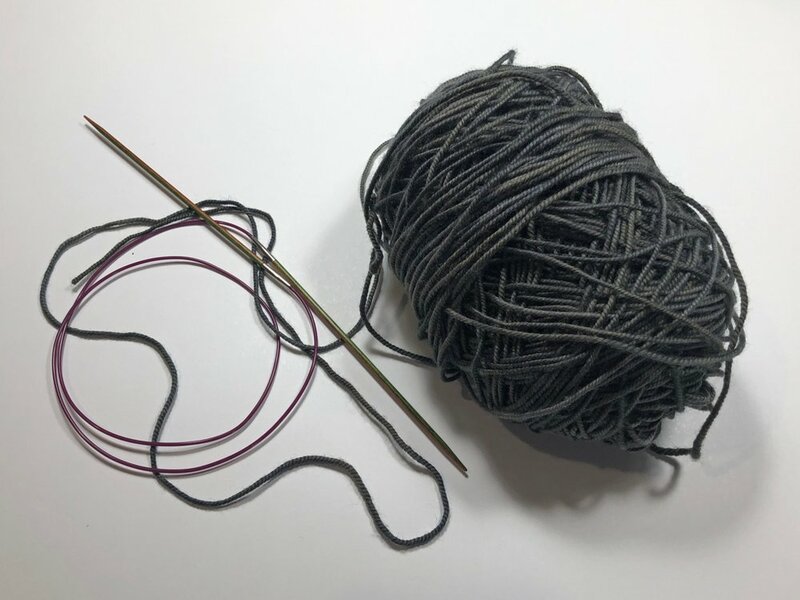 Knitting two things on the same needle has proved itself to be a mixed bag. It was great for making matching sleeves without having to psych myself up to make the second. 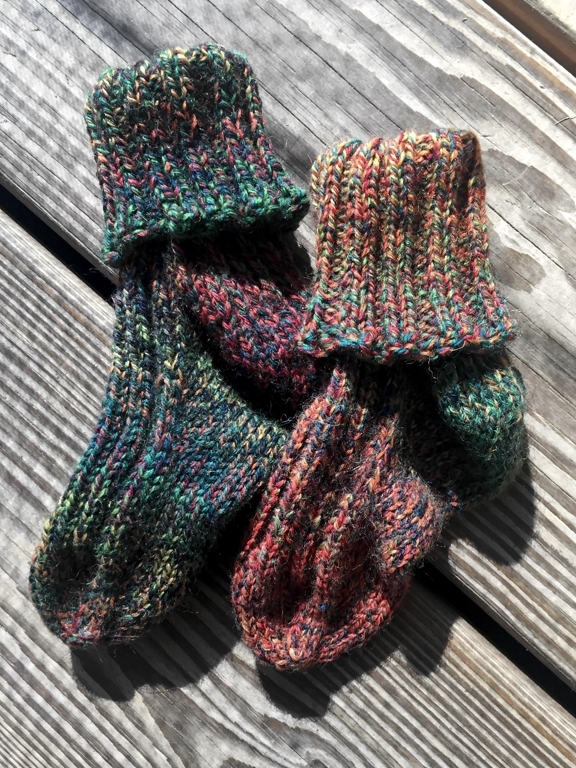 Though trying to knit two socks at the same time is everything aggravating that made me ditch the technique in the first place. Two-at-a-time isn't going to become my default way of knitting pairs of everything, but I'm not throwing is aside either. 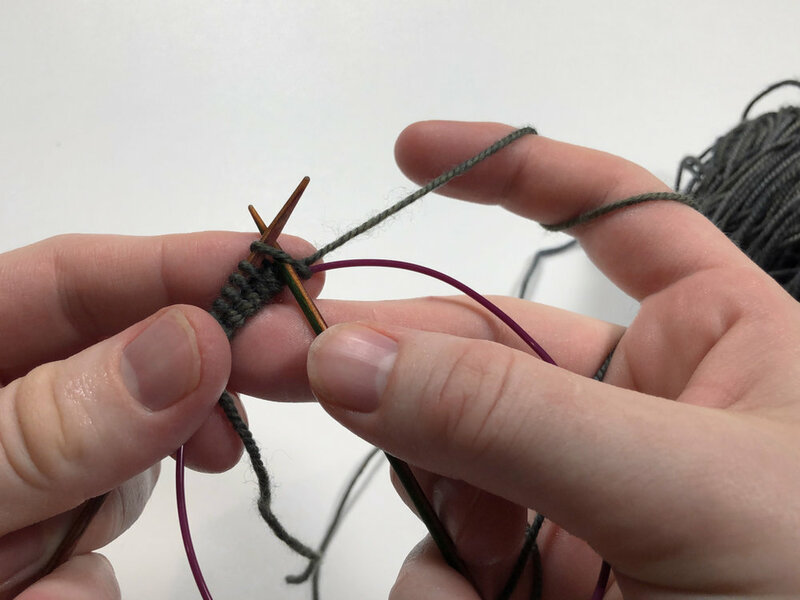 It's great for knitting pairs of small things: baby sweater sleeves, ear flaps for hats, or softie parts. I'm definitely going to use the technique again, just matched with the right project. Octopuses are awesome but I don't want to wrestle one every time I knit. 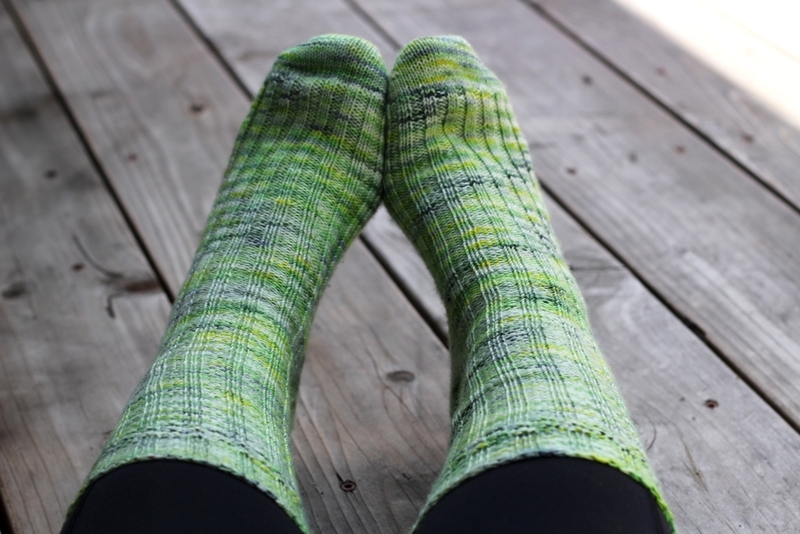 The yarn I used for these socks has taken a very long, circuitous journey. I bought it on a trip to Denver way back when in 2012 and it came back home with me to Birmingham. It hung out in my stash for years and made good friends with all my other sock yarn. I can’t remember whether it was the part of the travel-stash I hauled cross-country when I moved to LA or if I hauled it out later. Either way, it was a beautiful part of the stash. However, it wasn’t until I knew The Bearded One and I were moving to Colorado that the yarn was ready to be a pair of socks. I had this grand idea that I’d cast on, knit the pair up in a flash, and wear them the day we drove into the state. I totally could have done it too if I’d actually worked on them more than once in a blue moon. The yarn was gorgeous and the pattern simple so the socks hung out in my purse. They made pretty good waiting in line knitting and stuck in traffic knitting too. I put a few rounds on them and turned the heels while binge watching Netflix, but they were mostly purse knitting. Other yarn and patterns kept me busy at home. When we finally did drive across the Colorado state line, one sock was finished and I was lackadaisically knitting the cuff of the second. Then there was there that 2 week period where I couldn’t knit at all. Boo. 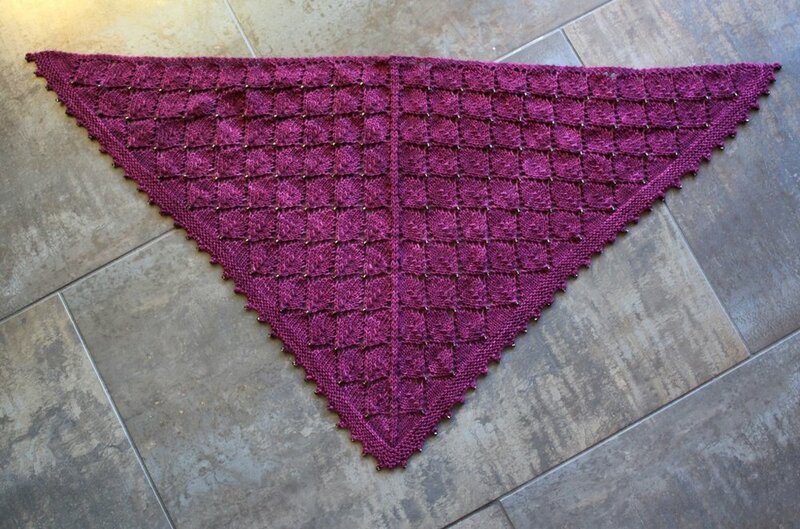 When I could knit again the urge to finish all the things took over. The last few inches went fairly quickly at fiber guild meetings, in line at the DMV, and binge watching Haven. I didn’t even even in the ends before I pulled the pair on. After all the waiting, they were just as warm and cosy as I’d hoped. 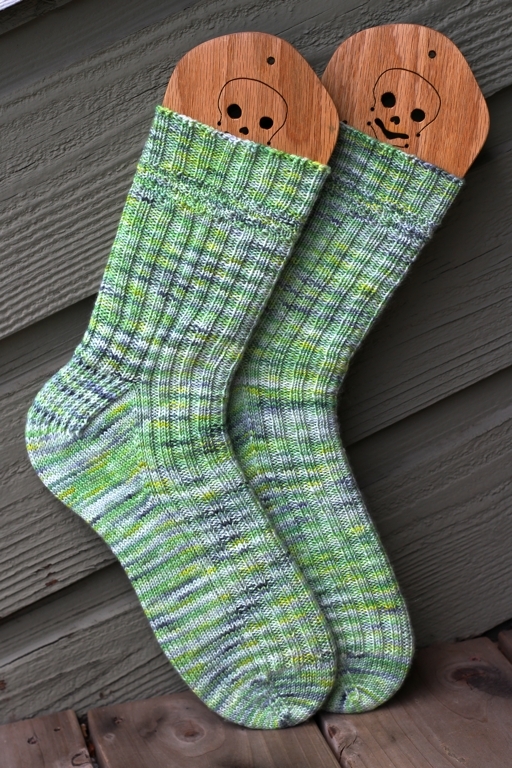 I did eventually weave in the ends and wash the socks. The pair went on a set of blockers after I squished out all the water which I don’t usually do with non-patterned socks. The ribbing definitely wasn’t as giving when I put them on afterwards - expected, but surprising annoying. Turns out I really like pulling on snug socks. I’m hoping another bath will return the ribbing to a stretchier state. Even through I didn’t finish these socks in time to wear them for the move, I’m really glad they’re done. Now the grand plan is to wear them tromping around Denver. I had to count on my fingers to figure this out, but I have been knitting for about 10 years. Over those 10 years I have learned a lot about the art of knitting and worked with a lot of yarn. I’ve knit small things, big things, geeky things, comfy things, and completely frivolous things. 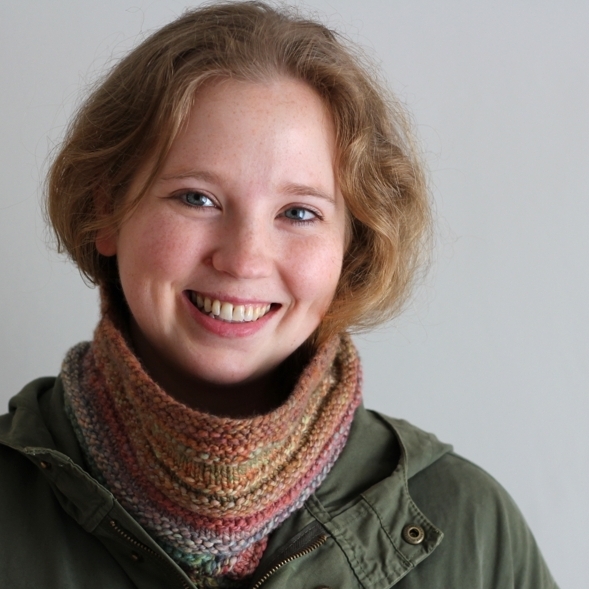 I’ve also knit things that I am incredibly proud of. Even with all that experience under my belt I still make silly mistakes. Example A, these socks. They look the same, right? The stripes match, except for the heels. They’re the same length from cast on to bind off. But they’re different. 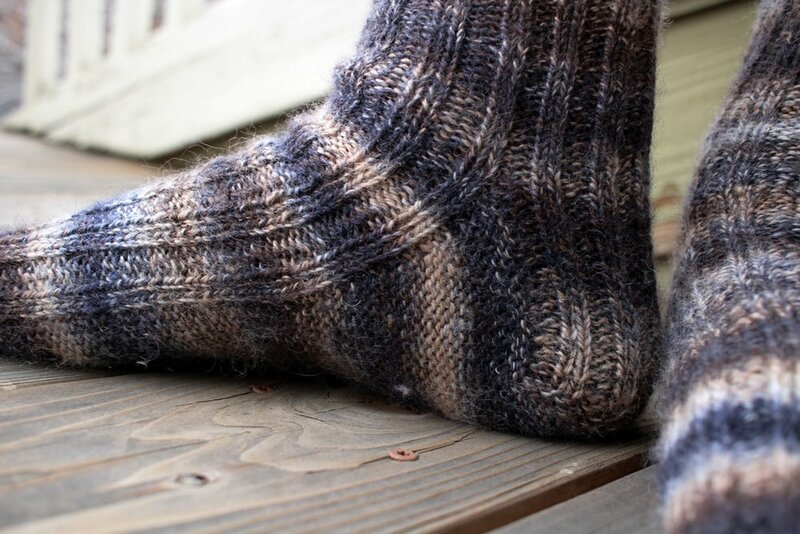 The first sock I knit on a 2.5 mm needle. 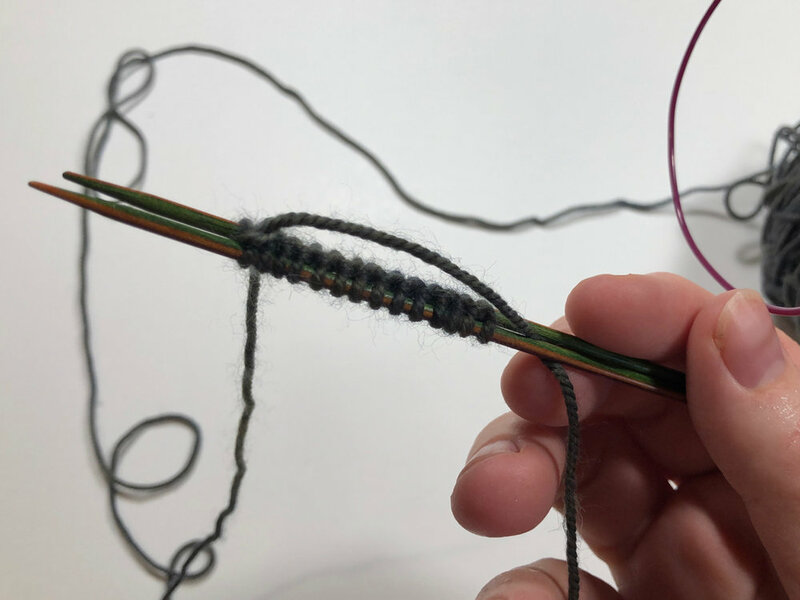 I knit the second sock on a 2.25 mm needle, thinking that it was the 2.5 mm needle. 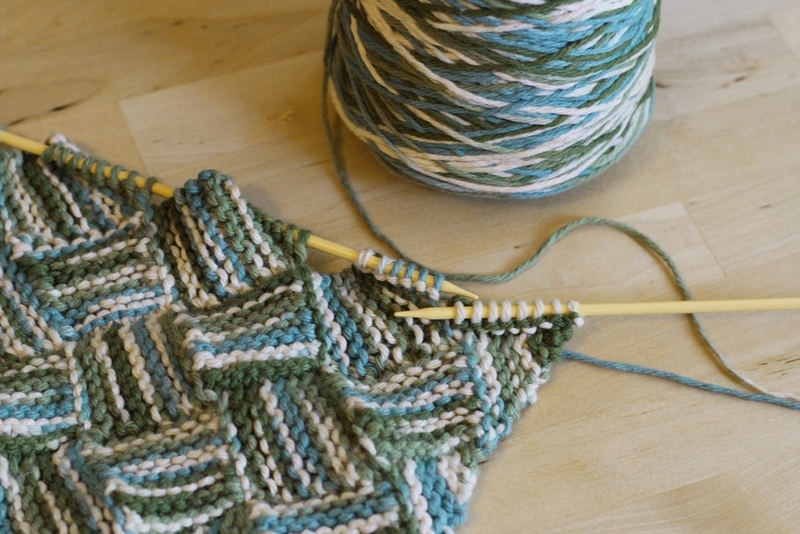 I didn’t realize the difference until after the bind off when I had to cajole it on to my foot. The first sock is a half inch larger and much more cooperative. 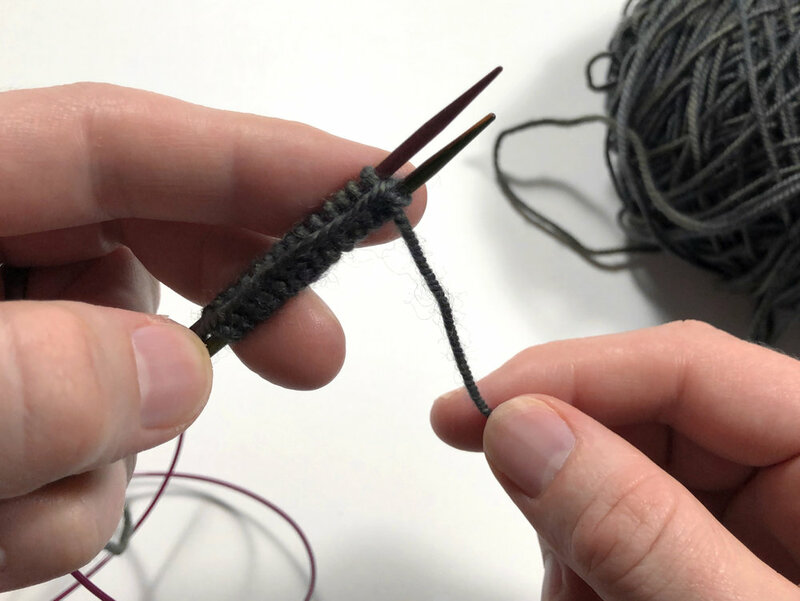 This week’s knitting public service announcement: If you ever have to snag your sock needles for another project between the first and second sock, do yourself a favor. 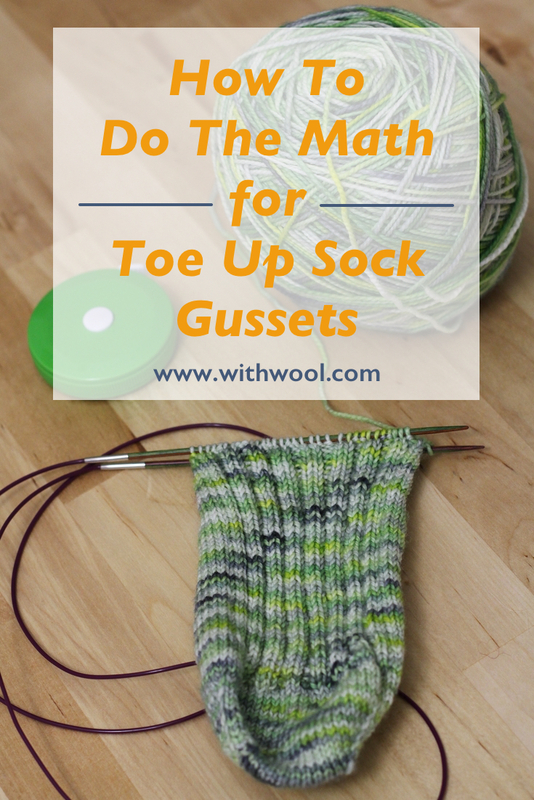 Use your trusty needle gauge to make sure you’re using the same size needle for both socks. After leaving the pair to its own devices for a night, I came up with two options for how to fix it. 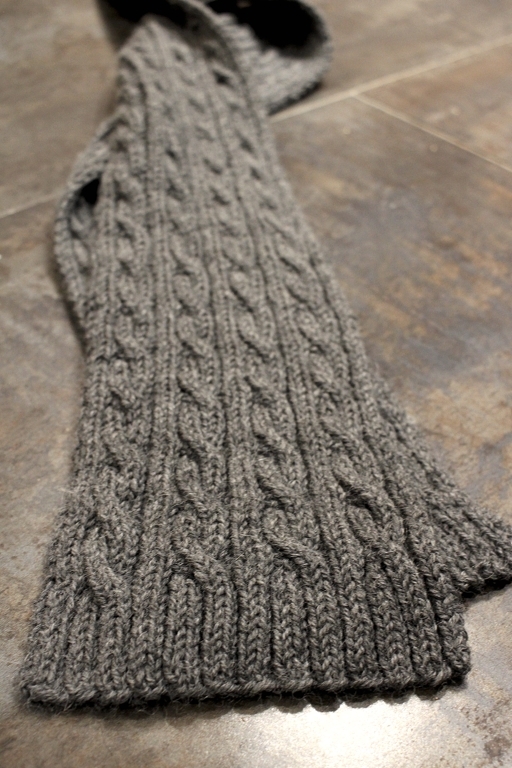 Option 1, unpick the bind off and rip right back to the toe. Nope. 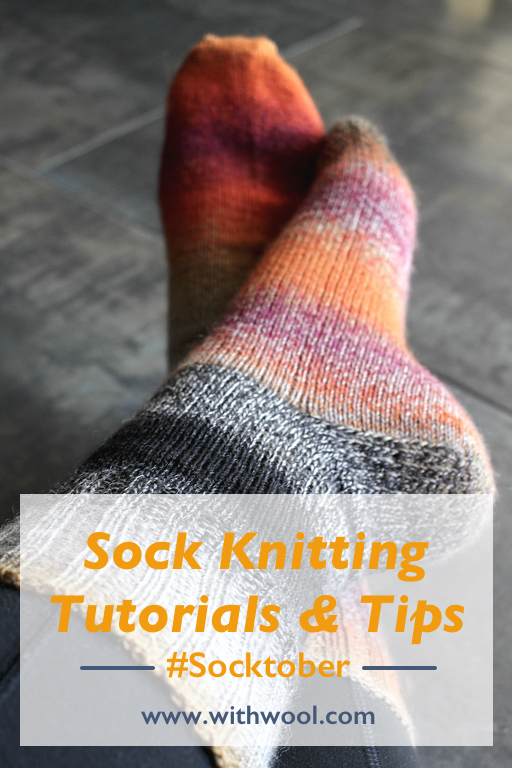 Option 2, wash the socks and stretch the second sock into shape over a sock blocker. That’ll happen as soon as I get my hands on my blockers, but it’s not as necessary as I’d first thought. In the few minutes I wore the socks to photograph them, the tighter sock (on the left) relaxed enough to be comfy. Snug, but comfy. All those stitches were not in vain and I still get a pair of socks! So this knitting fail wasn’t a complete lose. Plus, I’ll get the added bonus of seeing how long each sock holds up. 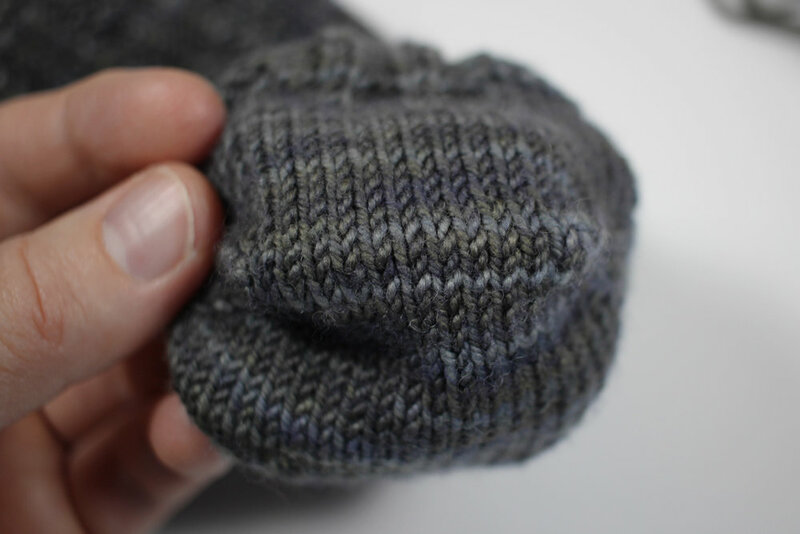 Will the looser knit but better fitting sock outlast the stretched sock with the tighter gauge? Only time and steps will tell. Pattern: Full pattern notes on the Ravelry page.